God gives us many freedoms to pursue pleasure and happiness. But we must consider as we pursue these things, when do we cross the line? 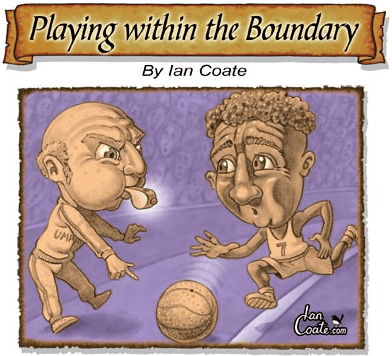 When playing sport, we are free to move anywhere as long as the ball is kept within the boundaries. However, when the ball goes over the boundary line it is no longer in play and a whistle is blown. Thus no goal can be scored from out-of-bounds. God has given us freedom to pursue many pleasures. As long as we keep within the boundary lines, these pleasures will continue to bring enjoyment and be beneficial. If we cross the line, God blows the whistle of repercussions.